Robert Pattinson, Mia Wasikowska, David Zellner et al. 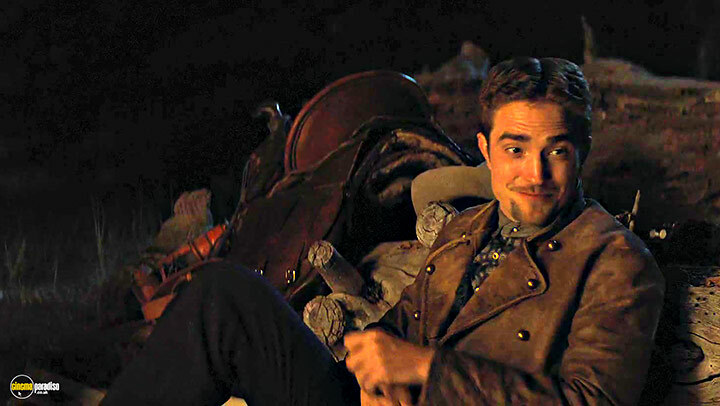 Samuel Alabaster (Robert Pattinson) voyages across the Western frontier to ask the love of his life, Penelope (Mia Wasikowska), to marry him. When he discovers she's been kidnapped, he finds himself on an unpredictable journey that raises the question: is this damsel really in distress? 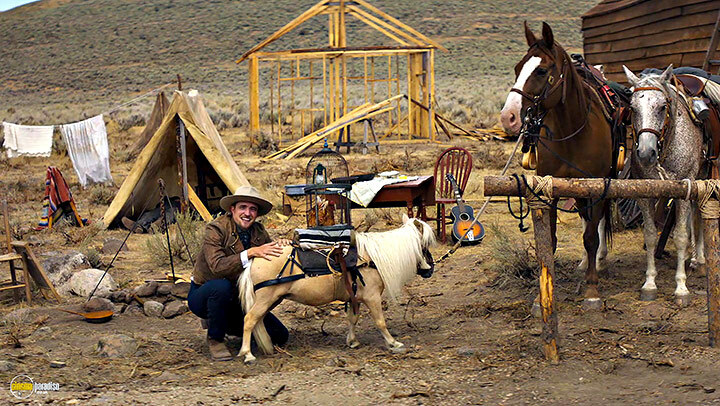 Damsel spins a Western comedy that’s far more subtle than the likes of the commentary-peppered Blazing Saddles or the bluntly gross-out A Million Ways to Die in the West. 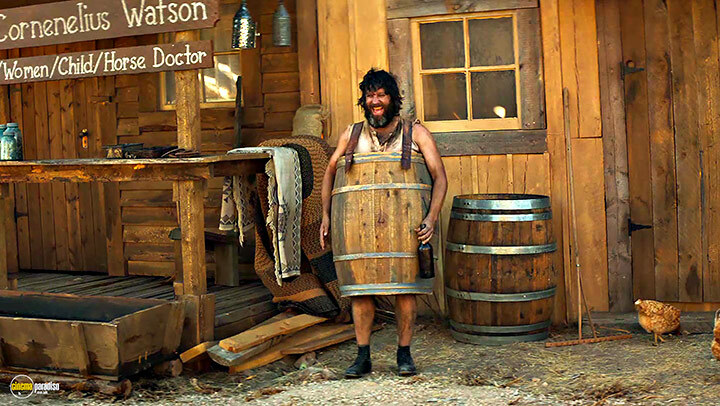 The comedy is so firmly tongue in the cheek that the very subversion whipped up with the characters could be considered another aspect of the comedy. It twists and contorts familiar Western tropes to the point where the head-turning of the character oddities becomes too comfortable. 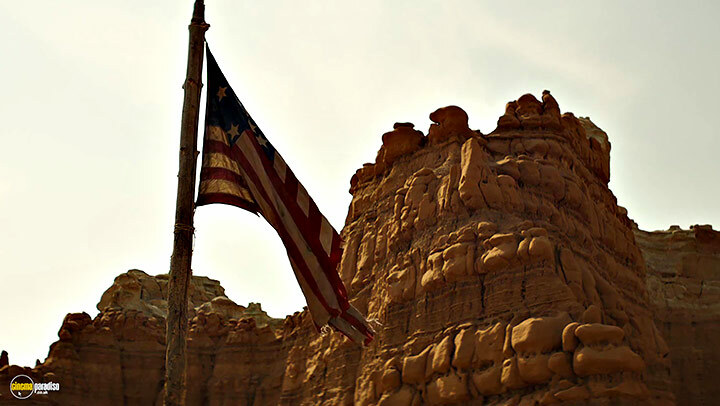 For a film that seems to pose an alternative and surreally somber Western tale, it settles a little too comfortably. There is still a curious charm that lingers the viewer into its dusty leather that there’s at least of a twinge of surprise when north becomes south. The opening bit, in particular, is a brilliant scene. 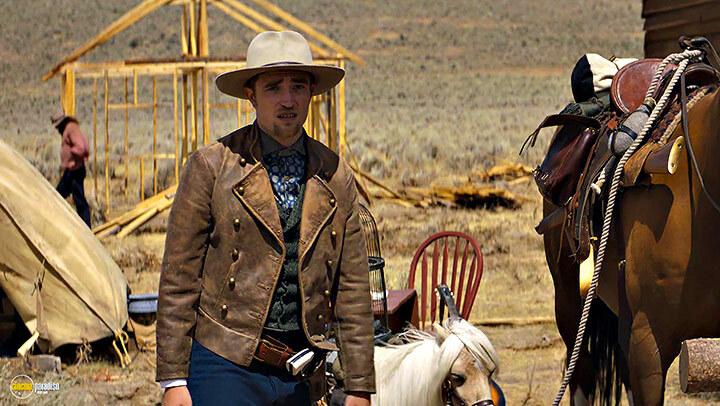 Robert Forster plays an old preacher waiting for a stagecoach in the middle of nowhere with the pioneer Samuel (Robert Pattinson) waiting alongside him. After much waiting and much contemplating, Forster loses it, renounces his faith, removes his clothing, and stomps off angry into the desert to die. It’s a great bit but what follows is a series of segments that could’ve worked better as being just this self-contained. The central story finds Samuel traversing the Western plains to find the love of his life, Penelope (Mia Wasikowska) and marry her. He looks ridiculous as he rides along with a miniature horse in tow but still fits right at home in the town he visits of unorthodox individuals we see briefly as though they were a series of one-shot Simpsons gags. He teams up with a preacher to make that last stretch of land before the pioneer has found romance. But once Samuel arrives, he’s in for a rude discovery of how Penelope has been living. And she’s in for a shocker of how Samuel views the world. And we’re in for many more surprises as pretty much every expectation about these encounters is shattered of predictability. 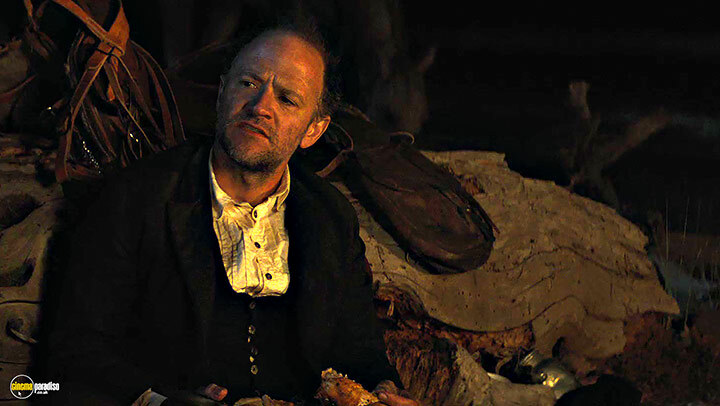 While this aspect may make the film itself sound original and twisty, the unreliable nature mounts up so high and quick that the absurdity starts to wear thin for piling on the pounds. It gets to a point that even the sight of a man getting shot while he’s still urinating almost comes off as expected since we’ve been trained throughout to expect the unexpected. Pretty much every character we meet is a liar to the other characters and the audience. I’m sure if viewed in a different light that this subversion could be interpreted as a scathing savaging of the Western genre or a truer take on how people are not so simple, where even a wounded man will try to sneak a grab for a breast if he feels his time is up. 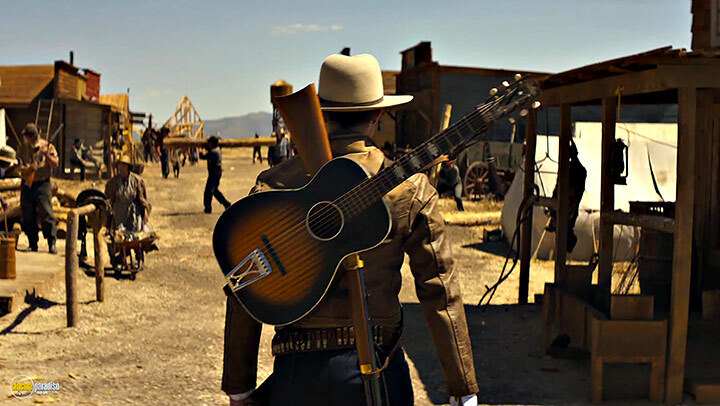 As with a lot of modern Westerns, the film moseys almost a little too quiet on its adventure, perhaps to keep a low-key amount of anticipation so that character reveals or brutal violence packs a bigger punch. And while it does keep the film interesting for the eyes, the mind often wanders when presented with twists for the sake of twists, to the point where we’re no longer surprised that Penelope takes a more cruel turn towards the climax. 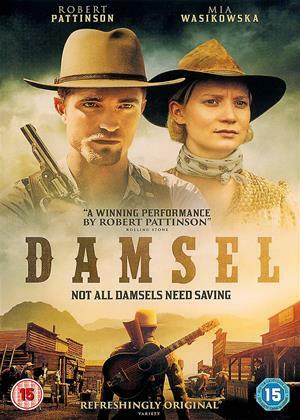 The joy of Damsel comes more from the weirdness of its style than the alternativeness of its substance. 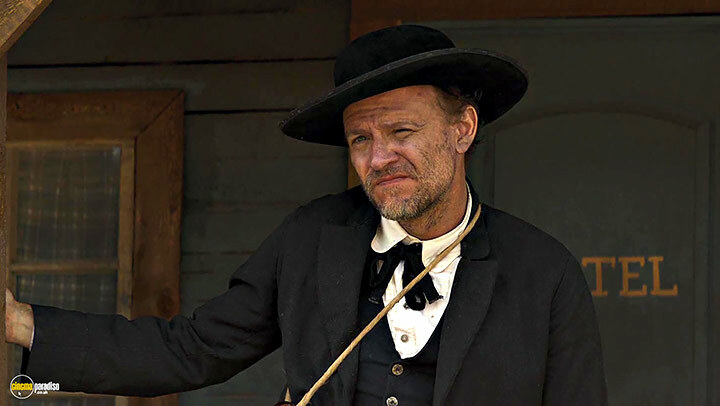 So if disfigured piano players, bitter preachers, and an outhouse suicide is enough to keep you saddled, this film certainly gets the job done, even if it is firing the same bullets at the same target for an extended period.